Performance Length: 2 x 60-minute sets in a 3½-hour period. 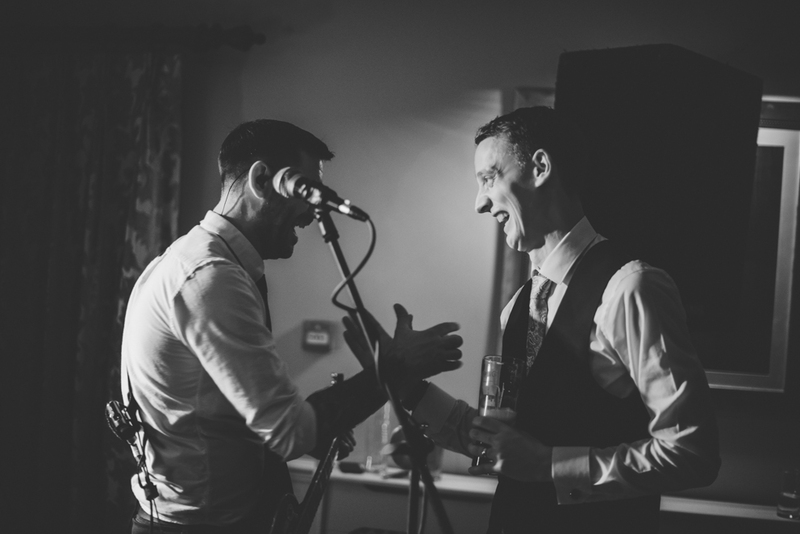 With many of the finest pop and rock dance floor fillers in the repertoire, this four piece Somerset band is the perfect choice for weddings, family parties and corporate events. The Hammervilles deliver performances to rival the originals, from classics by Elvis, Queen, The Who and Thin Lizzy to modern sizzlers from the likes of Kings Of Leon or The Killers. 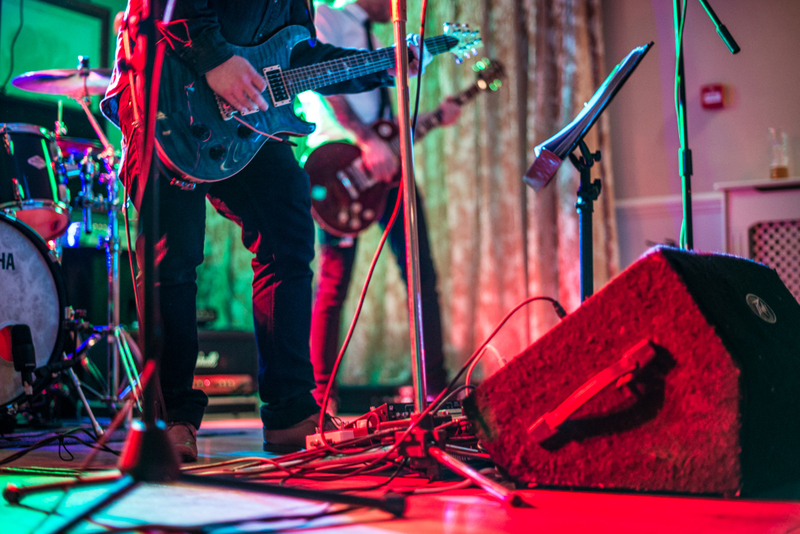 The band provides a repertoire that includes pop party classics from the 50’s all the way through to present day, including songs that will please all your guests, young and old. 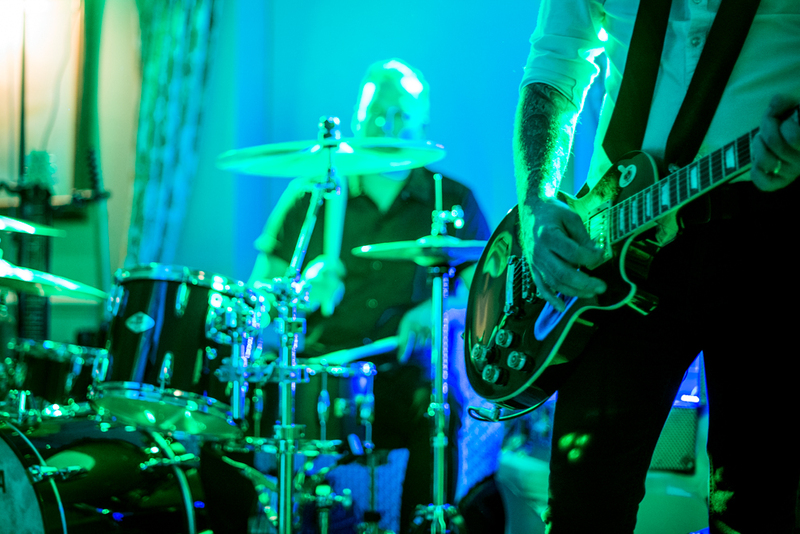 The band comes equipped with a quality PA system and stage lighting. Look forward to a full dance floor from the moment the band takes the stage! 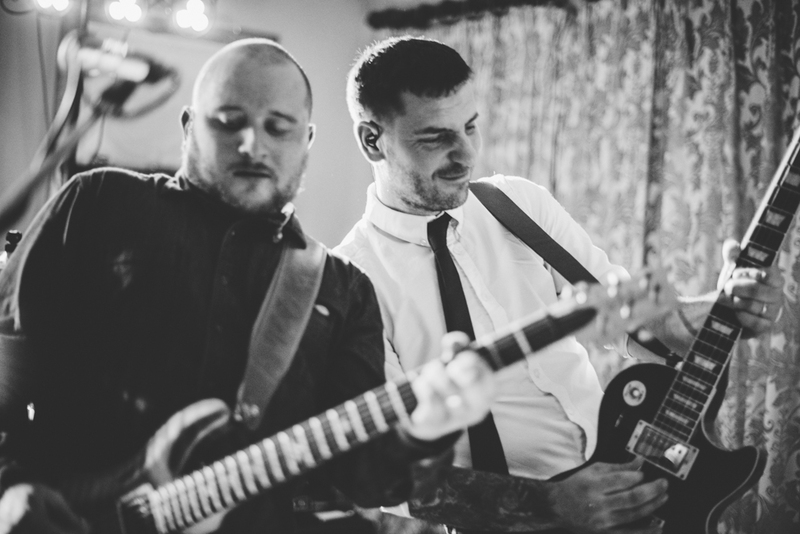 The Hammervilles performed at our wedding in September and I cannot explain how incredible they were! They were utterly fantastic, they are such talented musicians and knew exactly which songs to play to keep the whole crowd up and dancing the entire night! They had so much energy and no one could sit down. The whole crowd were singing along and dancing and the band put everyone in such a feel good mood. They totally blew us away and were all such lovely and friendly people too. Thank you so so much guys, I wish I could have that night over and over again. We have hired The Hammervilles on 2 occasions for our wedding and my husbands 30th birthday as well as going to see them in various local pubs on many occasions and always enjoy our evening. Great, very friendly lads, great musicians and a great variety of tunes! I booked the band for my 70th birthday. They are brilliant! I would like to say that The Hammervilles are the best live band in the area, making my 50th birthday party the best ever. They bring the most amazing party atmosphere, getting the crowd dancing and welcoming your guests to join in and party! All four guys are enjoying themselves whilst playing. You can tell it’s their passion to play music and this shows at every gig ,party and wedding I’ve seen them they play at. If you want a great night, they are a must in my opinion. We hired The Hammervilles for our wedding in Stourhead. We were blown away by their helpless, and professionalism. The music was awesome and they nailed the vibe perfectly. Would 100% recommend and will use them again. The Hammervilles played our wedding and did everything they could to make it a fantastic day, they started the day with an acoustic set, then for the evening learnt and smashed out a song for us for our first dance and had the perfect mix of songs for my music tastes (heavy rock) and my wife’s tastes (classics/popular stuff). Absolutely fantastic, would definetly recommend for all types of events ? The Hammervilles played at our friends wedding. It was an amazing time and just the best way to finish what had been a great day, if you get a chance to go see them I highly recommend you go. We spent New Year’s Eve with The Hammervilles at the football club. They had the dance floor filled all night with people aged 2- 70! They really made the night a memorable one. Not a bad song was played! I’d definitely spend an evening at a gig of theirs as would any of my friends or my two children. I would just like to say a huge thank you for the New Years Eve bash at Coleford RBL last night, you were absolutely amazing, I thank you all from the bottom of my heart for the best night I’ve had since taking over at the club. Happy New Year!”. A big thank you to Kev, Nick, Tim & Jamie – The Hammervilles – for a great performance at my birthday bash. You are undoubtably ‘The Best in the West”. To round of Beckington Village Day, The Hammervilles played a storming set of pop party classics from the 1950’s to now that had the dance-floor full from the word go! This is a talented group of musicians with a repertoire that will please everyone – from 17 – 70. If you’re looking for band a wedding or family party, this is the band for you! I’d like to give a thanks for making it such a good night at our Wedding. We thought you guys played a brilliant set and the fact that the floor was filled from beginning to end was testament to that. I’ve had so many compliments from our friends / family about how good you were. Thanks for completing our day.